At the age of 10, boys need toys that evoke their imagination and creativity. They require advanced and more complicated toys to enhance their emotional, cognitive, and social skills. More so, it’s essential to make sure the toys improve their physical development. As a parent, you should, therefore, be keen to buy the appropriate gifts and toys for your boy according to his nature and character. The best way is to understand the development milestone of the kids to help you determine the best toys and gift ideas. We have gathered 30 best toys that will keep your boy enthralled, motivated and rejuvenated. Why we like it: Gili Building kit has excellent functionality with lots of playability. It’s entertaining, spark spatial imagination, and enhances creativity through interactive play. The Gili Building-Construction kit is a toy ideal for boys to challenge and inspire innovation in them. The kit comes with 361 pieces that will keep the boys busy and challenged. It evokes their creativity for designs. It encourages learning of mechanics and engineering for boys aged ten years. It has an easy-to-follow manual that allows kids to have loads of DIY creative fun. They can create a propeller plane mode or a simple dump truck model. This excellent building kit promotes teamwork and enhances collaborations. It improves brain development, enhances hand-eye coordination, inspires creativity, and boost problem-solving skills. The pieces are made of non-toxic, harmless ABS plastic fabric. More so, they are durable and sturdy. Although it sparks creativity, the 361 pieces might be too complicated for some 10-year old boys. Why we like it: It introduces kids to an exciting electronic world which challenges kids to develop motor skills. It enhances spatial reasoning while having fun. Getting inexpensive and quality toy for a 10-year old boy can be taxing. 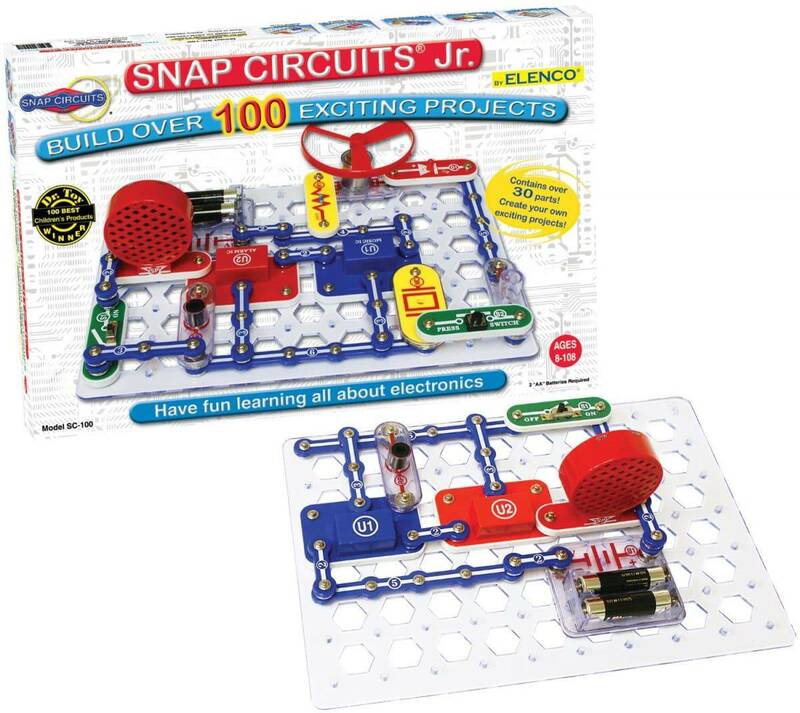 But Snap Circuits Jr. SC-100 Electronic Kit comes with all features that are suitable to make your son have lots of fun. With this kit, kids can build 101 various electronic projects. It comes with over 30 unique pieces which include an alarm circuit, snap wires, a speaker, music-integrated circuit which snap together on the fitted plastic grid. All parts are color-coded and numbered to make it easy in identifying them. The combination of these pieces creates a working circuit similarly to the ones found in radios, TVs and other electronic devices. The pieces are color-coded and number to help kids identify them quickly. Why we like it: It teaches your kids on how to maneuver and care for a car. This remote car is the ideal gift to prepare your kids for the real world. The remote control enhances their accuracy. Boys love cars! Epoch remote control car has a novel design, and it possesses a wall climbing function. The air suction set forms a vacuum space at the base of the vehicle to create a strong absorption force that will make the car walk fast on glasses or walls. It’s the perfect toy that will; enrich your leisure time and create endless fun for you and your kids. It’s infused with two racing modes; wall and floor. Besides, it can do two angle rotations; both clockwise and anticlockwise at 360 degrees. It features intelligent LED lights which will be bright when moving forward. The rear lights are meant to bright when moving backward. This design creates endless fun for your boy. 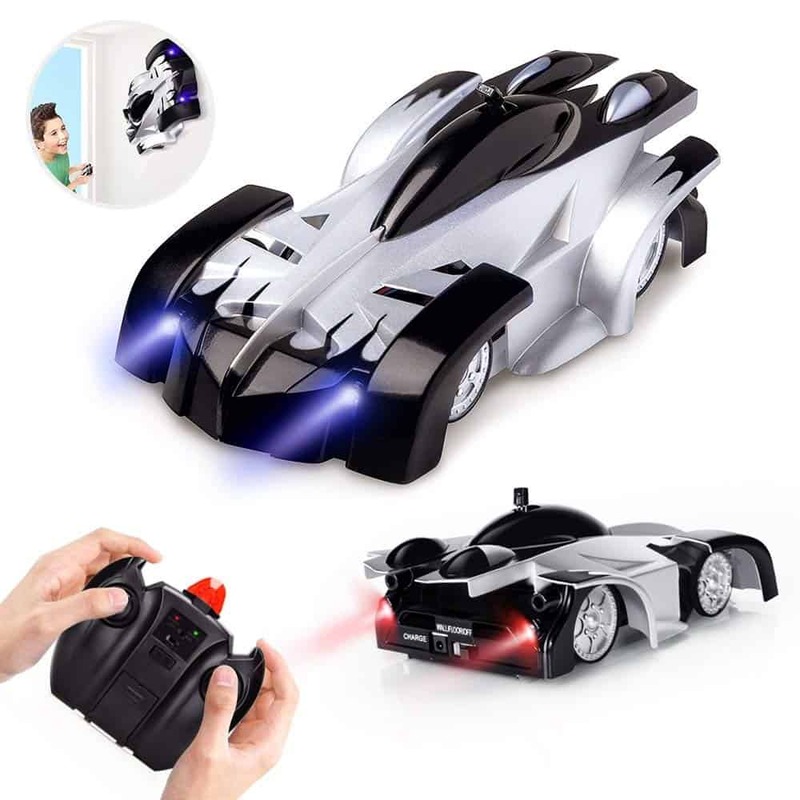 This remote car uses 3 AAA built-in batteries which make it safe and durable for kids. Why we like it: although kids cannot dial or pick up the calls, this Walkie talkie gives children a feel for verbal communication. It’s like a mobile phone without the commitment! Communication is essential in every aspect of life. We live in a world where nearly everyone owns a phone. As a parent, if you are torn between first phone debate, then this might be your ideal option. The Walkie talkie features 22 channels and impressive 3-mile range to allow long distance communication. The toy opens a magnificent world of possibilities within your boy’s outdoor adventures. The small size and compact Walkie talkie will fit comfortably in kids’ handle with its ergonomic design. More so, it’s clear and loud. 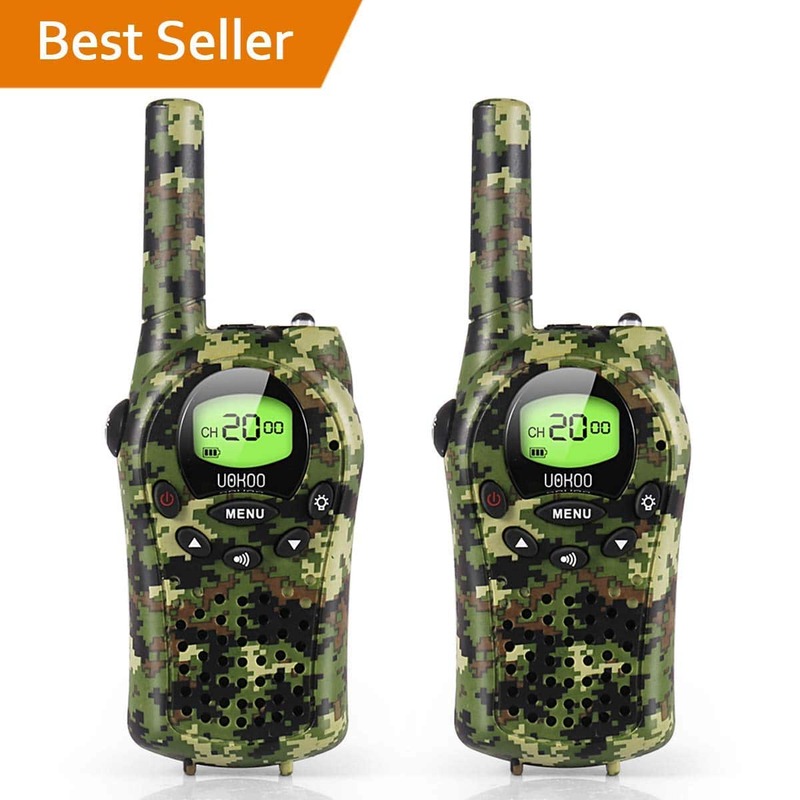 This Walkie talkie is durable and eco-friendly materials used are safe for the kids. Why we like it: It’s an exceptional way to fortify all the essential skills your 10-year old boy requires. It sparks imagination and creativity as the kid creates aerial videos and pictures. Your 10-year old boy’s eyes will move with the admiration he tries to conquer the skies with this ergonomic drone. The SNAPTAIN drone is fitted with 720p video transmission signal, scaling at 80m to allow your kid to fly farther. It has upgraded obstacle avoidance sensors where data is consistently transmitted to the central processor for a safe flight. 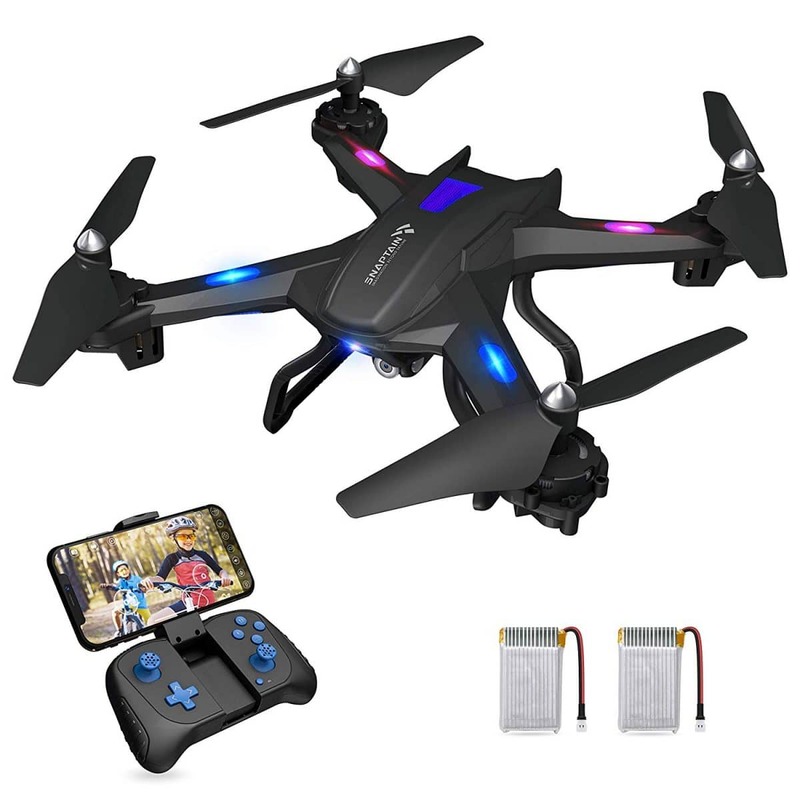 It comes with a set of features and functions for kids and drone newbie. The 360° flips and rolls as the intelligent voice control make it a fascinating toy for children. It’s easy to fly. Why we like it: Stomp Rocket is designed to support STEM development. It builds kids’ future in the computer, robotics and natural sciences. 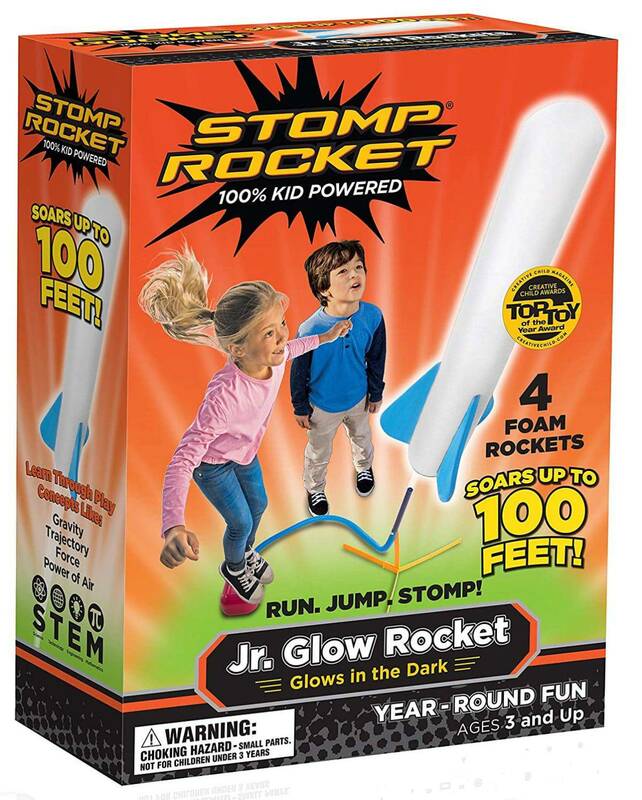 When warm weather knocks, it means it’s time for kids to have outdoor adventures and Stomp Rocket Jr. Glow kit is the perfect toy for that. This ergonomic toy intrigue both young and old. It’s the best way for the boys to get rid of the pent up energy. Launching the rockets takes some stomping power that can only be ideal done outside. For once a kit that doesn’t require batteries to function. The kit comes with four rockets, and they can soar up to 100 feet above the ground. The toy comes in various colors, and the can glow at night. Why we like it: The kit is crucial for pre-teen boys who are full of energy. It provides that outlet and enhances their eye-hand coordination and improves the precise physical skills as well as brain development. 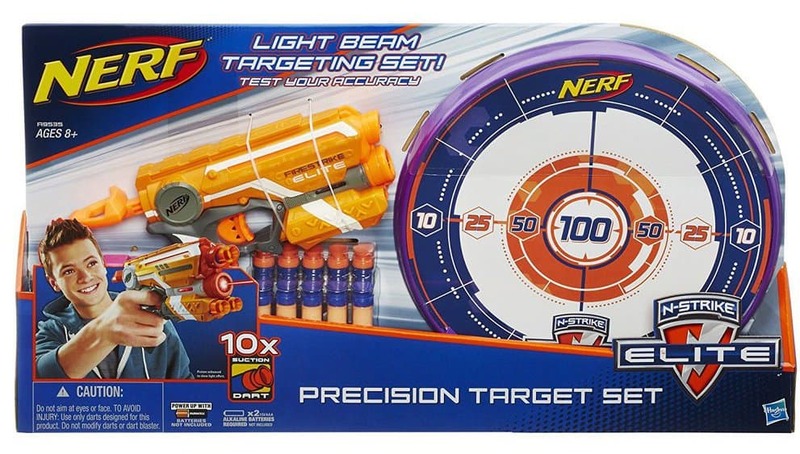 If your boy aspires to be a marksman or has a desire be a law enforcement officer, then Nerf N-Strike Elite Precision Target Set is an ideal gift for him. It has every feature you need for competition or practice. It can stand up or get hinged on a door. This fantastic toy is fitted with a blaster light beam trigger which activates the precision light beam. More so, it has a tactical rail that is compatible with most of the N-Strike accessories. 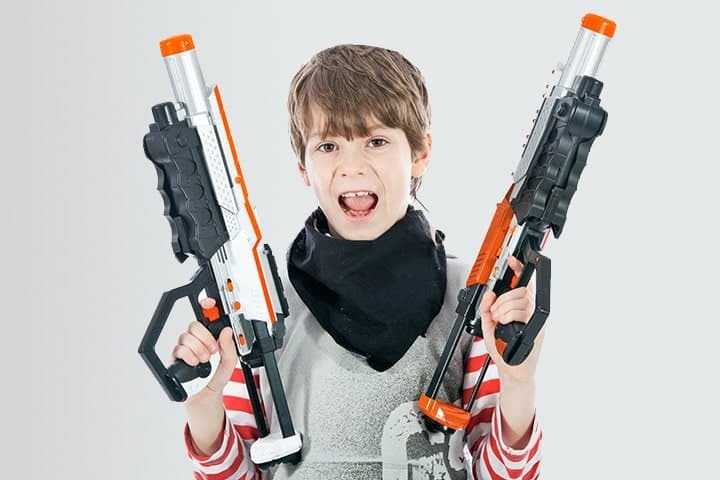 The set also includes 10 suction darts, Firestrike blaster, and target. It comes with instructions which are easy to follow. Why we like it: By playing through various levels, the toy enhances spatial reasoning and improves planning skills. More so, it provides a great learning experience for kids. 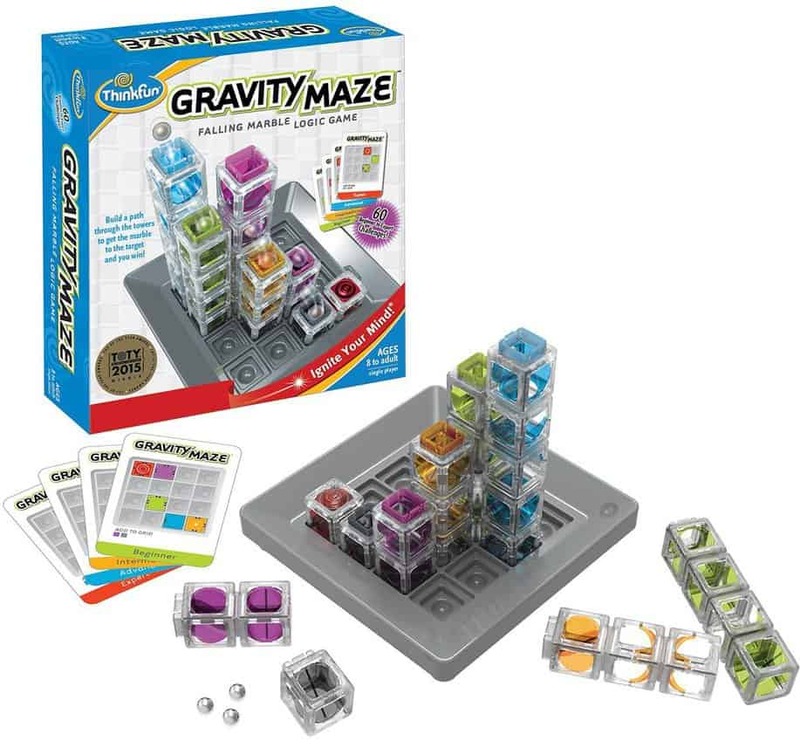 If your boy loves a challenge, then get him this award-winning toy, ThinkFun Gravity Maze Run Logic Game. The set is a combination of logic game, STEM, and marble run which promises lots of fun for the kids. It contains 60 challenges from beginner level to expert. Included also is 1 target piece, 9 towers, and 3 marbles, suitable for 10-year old boys. The clear instructions are easy to follow and learn so you can start playing immediately. It comes with multi-level 60 challenges which gets difficult as you play in each level. Being an award-winning toy, you are then assured of lots of fun and lots of learning with incredible skills. 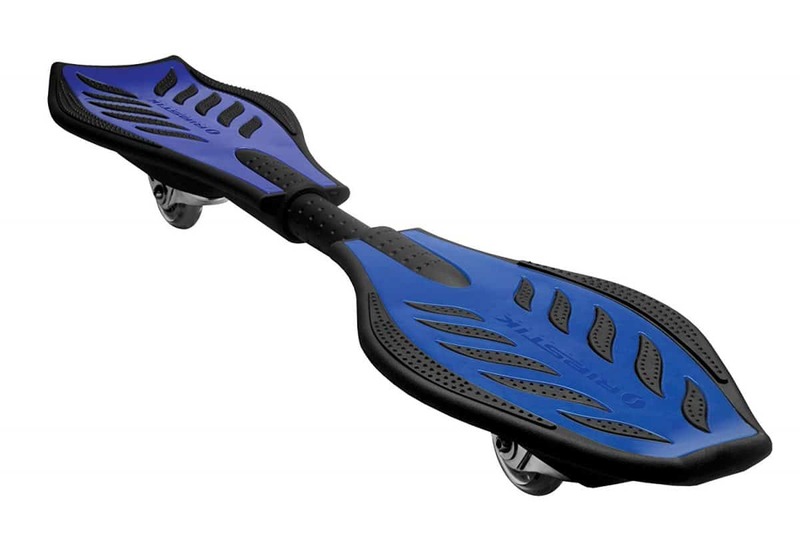 Why we like it: Razor RipStik Caster Board provides the unqualified balance that promises safety for the kids. It also offers great fun and thrill. Since its inception 2000, Razor company has focused on designing products that provide best riding experience, high-quality fabrics, and combines cutting-edge technology to suit riders’ evolving lifestyles. With many years in experience, you are guaranteed great products and excellent customer services. One of their ergonomic toys is Razor RipStik Caster Board. The pivoting deck and 360 degrees inclined cater, provides a unique carving motion that will thrill your boy as he surf. Its spiked traction pads and kick tail and nose makes it look great while offering superior traction and stability. It features polyurethane wheels and ABEC-5 bearing casters for a smooth and safe ride. Why we like it: Light-Up Minecraft is made of high-quality materials that promise durability. The ABS plastic material is non-toxic, so you don’t have to worry about kids’ safety. Does your boy aspire to be an architecture? 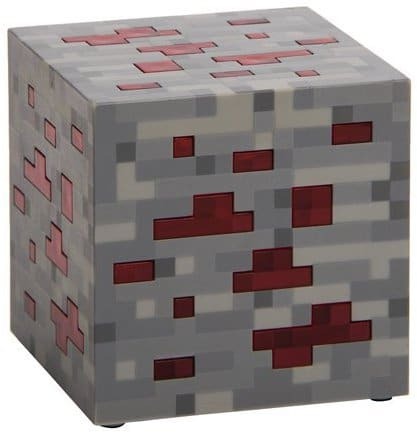 Well, ThinkGeek MineCraft Light-Up Redstone Ore is the ideal toy to buy him. Building a dream house in the Minecraft makes the regular world houses look pale and unattractive. The kit is a 3″ cube light ideal for fans of Minecraft. To activate the light into the desired setting- low, medium, or high- you only need to tap the ore. You also press the same ore when switching off. However, the light will switch off after three minutes of continuous use. It uses 2 AA batteries to function. Why we like it: Electric Motors Catalyst Kit enables kids to build electronics using the battery pack, wires, and motors. It enhances innovation and promotes creative ingenuity solutions. It’s amazing what kids can achieve when they get trusted with their ideas. 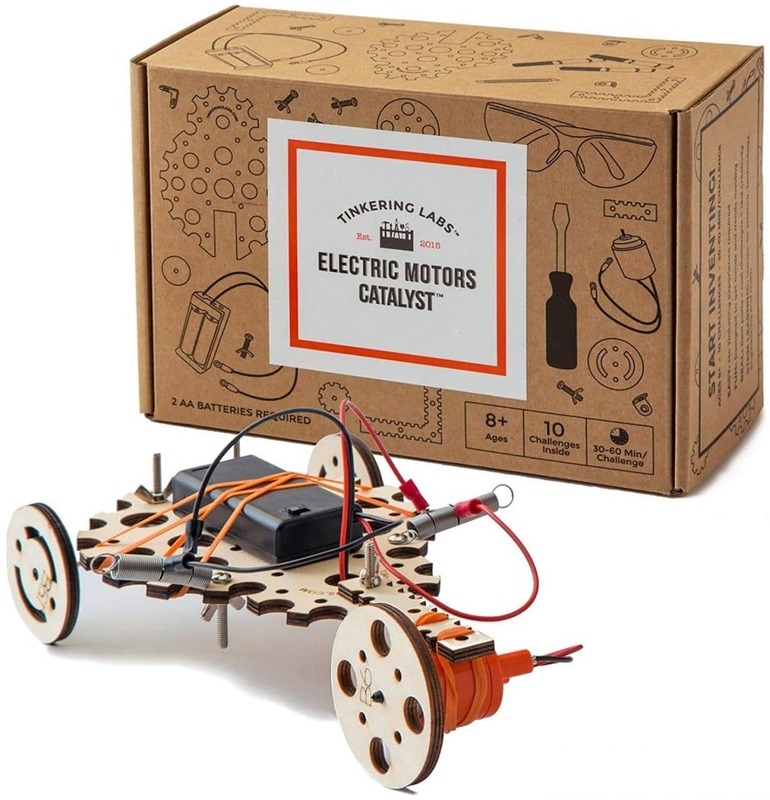 The Electric Motors Catalyst Kit was purposely designed to inspire pre-teen thinkers to imagine and come up with their inventions. The kit helps boys hone their hands on creative and problem-solving skills. The wooden robots inspire DIY Robotics for kids. No programming or screen time. Just pure hands-on creativity and invention. The kit features all the tools that you need, including a large paperwork surface and batteries. It also comes with a deck of challenge cards which are perfect to fuel imagination. Why we like it: The innovative and unique design of this kit will make kids spend time with other creating fun block structures. It improves hand-eye coordination, enhances motor skills, and promote logic and problem-solving abilities. 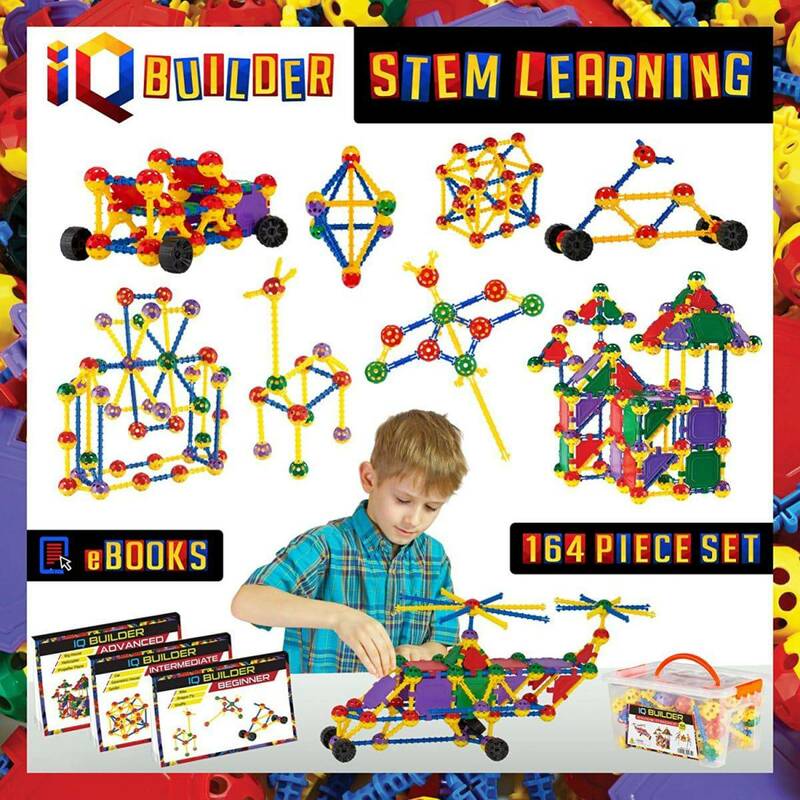 IQ BUILDER toys are designed to promote learning, develop cognitive skills, provide hours of fun and productive play, and STEM Learning toy is no exception! The toy has an innovative design with 5 wheels+ wheel connectors, 40 connecting balls, and 88 different length ball connectors that provide unlimited fun. It’s like a building-engineering toolkit that allows your boy to expand his imaginative realm and design all sorts of ingenious structures. The toy is engineered to enable the kid to build any geometric shape his mind can imagine. The toy kit comes with three detailed instructional eBooks for both novices and experts. the toys are safe since they’re Lead-free, phthalate-free, and BPA-free. Why we like it: the kit triggers creativity and innovation that will give the kids hours of entertainment. It’s inexpensive, hence an ideal gift for the kids, especially when working on a budget. 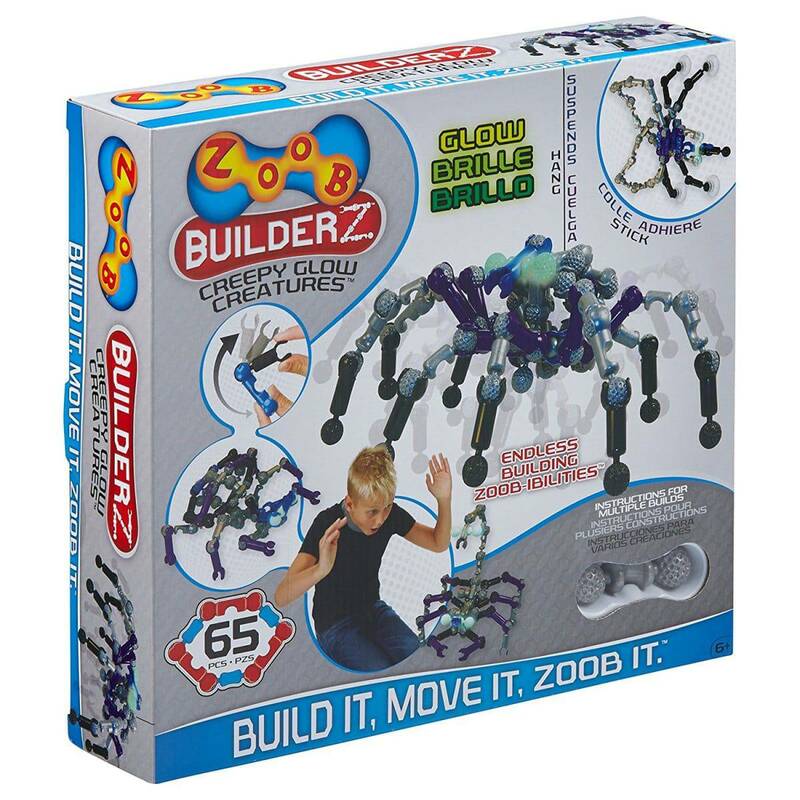 ZOOB BuilderZ is a unique set that features five different styles of pieces that get snapped together in 20 ways. After building the parts together, your boy can create toys to play with. The best thing about playing with ZOOB is discovering, exploring, and using imagination to build any design that pops up in mind. The included instruction helps kids to learn promptly and teaches them how to create different creations. With all the pieces, the kid can create scorpions, spiders, crabs, and other creatures that can turn your house into a dynasty of horrors. Your boy will enjoy creating monsters that can turn into vehicles! Why we like it: its design provokes creativity as well and making kids have fun. It sparks problem-solving skills as well as promoting innovation in kids. 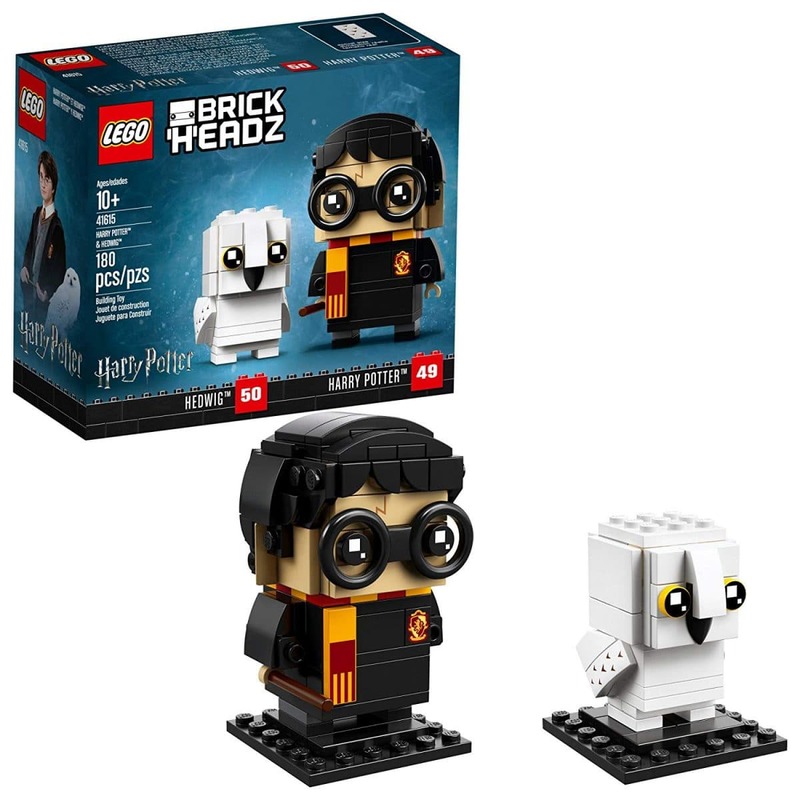 It’s time to have fun with Harry Potter and Hedwig toy. Cunningly, pour a spell on other kids with the wand. It gives the kids a chance to feel magic when they’re building, collecting, and displaying their creations. The kit stands on a unique buildable collector’s baseplate for easy display. There are beloved characters that create a beautiful collection with admirable characteristics. It has a unique and iconic look that is lovable for kids aged 10-years and above. The toy weighs 0.64 ounces, making it super lightweight for portability. The compact size makes it fit comfortably in the tiny hands of kids. The parts are too small and can chock. Therefore, it requires supervision. Why we like it: Codenames is beguiling and silly at the same time. Both wins and losses are exciting. It promotes teamwork and spatial thinking skills. 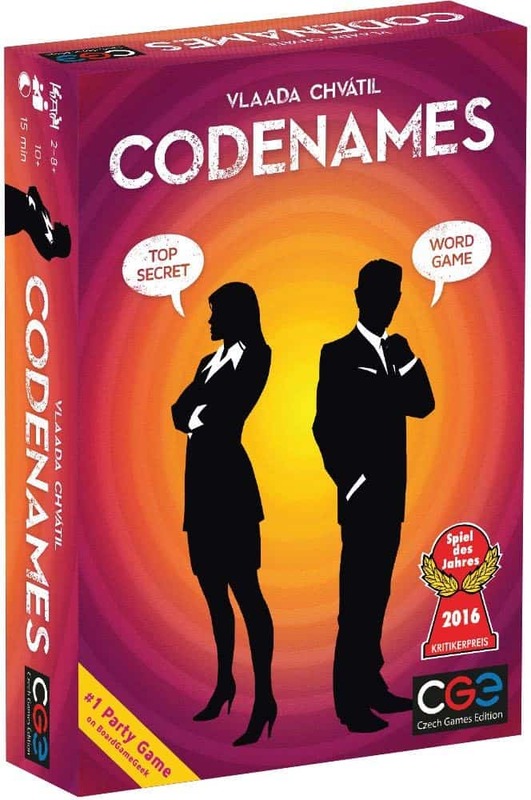 Codenames is a challenging game-play with a simple premise. It features two rival spymasters who are privy to the identities of 25 agents. However, the teammates only know agents by their codenames. The co-players struggle to reach out to the agents but in vain. It’s a fun game that requires 4 or more players. It’s a cooperative variant where one team tries to attain the highest score by playing against the game. It’s edgy and silly at the same time. It will excite the kids as they win as well as they lose. It’s fitted with 265 cards to keep boys busy and entertained, the rulebook gives clear guidance on how to play. Why we like it: The kit introduces kids to the science world where they learn more about nature. The step-by-step guide will ensure all procedures are followed to the latter. Scientists are amazing people. 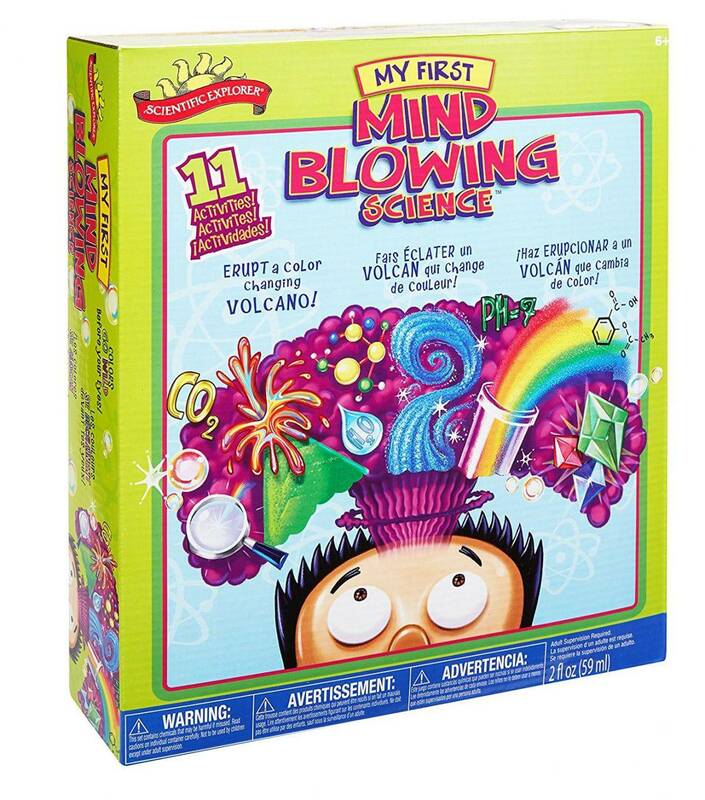 And if your boy has a desire to be one, introduce him to chemistry with this great toy, Mind Blowing Science kit. Let them explore and learn the basics of science by observing various chemical reactions. With mind-blowing experiments making a color-changing volcano and creating a beautiful sunset in a test-tube, kids will learn invaluable lessons about the natural world. It will keep them glued and hooked while sharing interactive thoughts and having fun at the same time. The set includes all the necessary tools that will make experiments successful. Essentially, the kit is not messy. Hence you won’t be worried about a dirty house. Why we like it: with millions of moves, the cube will keep the young ones busy and improves their thinking skills. 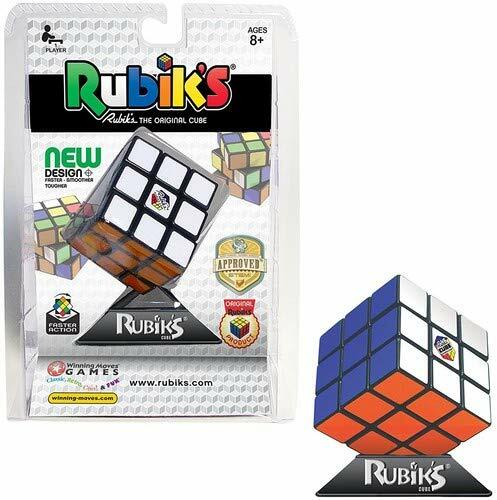 In 1974, Erno Rubik invented Rubik’s Cube with the intention of explaining the three-dimensional geometry. The kit has been enchanting and tantalizing people for over four decades! If you have been wondering how to keep your boys calm and busy, then Rubik’s cube is the perfect toy. It’s still the best-selling puzzle in the world with billions of combinations for a single solution. It challenges both old and young in equal measure. This fantastic cube has 43 quintillion moves, but it can be solved with a few moves. It’s a simple color concept, and incredible turning actions make it the world’s best puzzle. Why we like it: This vintage-styled toy is easy to store, offers a safe ride and exciting to ride. The flag indicates the start and end of the contest. Is there anything better than racing up and down the driveway, or riding around your steam, or winning imaginary races? 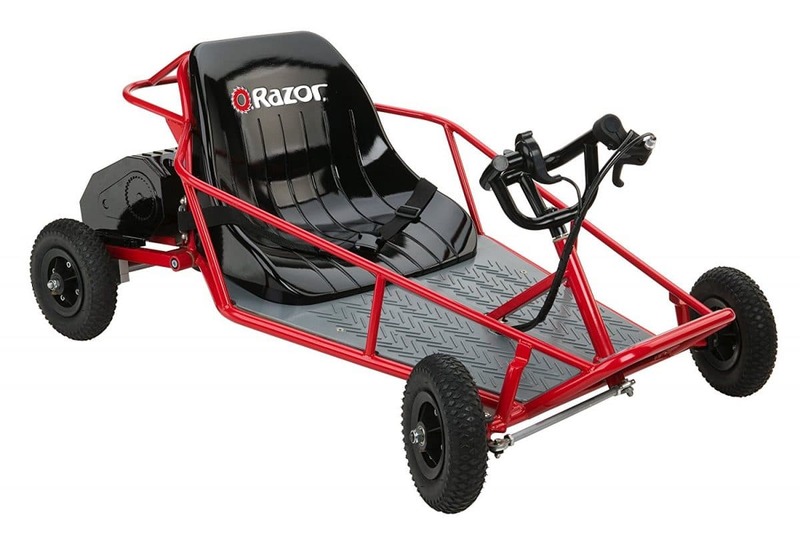 Razor Dune Buggy is that ideal toy that will give your boy all the outdoor adventures he ever wanted. It features a seatbelt, a padded bucket seat, and a steel frame which makes it sturdy to support up to 120 pounds. It’s fitted with a side roll cage which offers excellent security while the buggy provides a smooth ride. The toy is battery-operated with a superior 350-watt electric motor. The acceleration control is thumb triggered while the rear disc brakes are hand-operated. For even more excitement and fun, it has a flag to signal the fright and end of the race. Why we like it: make kids laugh and scare them at the same time. It stimulates their ingenuity and creativity. More so, it’s entertaining, fun, and encourages the boy to read. Most, if not all, 10-year old boys love to pull pranks on their friends, sisters, and brothers. Pulling off a crazy prank takes cunning, imagination, and ingenuity. This Pranklopedia will guide your prince in exploring classic and grossest jokes and gives excellent ideas of what kind of pranks works better and how. 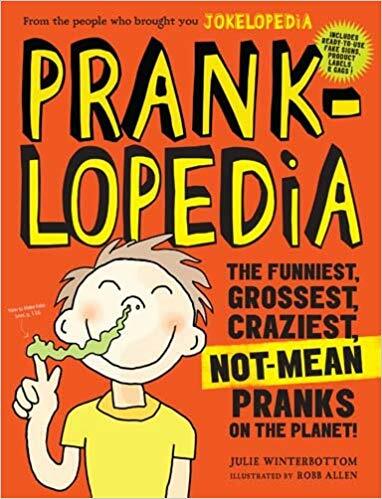 It contains more than 70 different pranks that have pulled over the years. They include the Homework Hoax and the famous Movie Popcorn That Grabs You Back. Your little prince will love to learn how these pranks work. Why we like it: The kit stimulates your kid’s creativity, enhances motor skills, and ignites the imagination. Besides, it promotes the development of STEM learning areas, Math, Engineering, Science, and Technology. 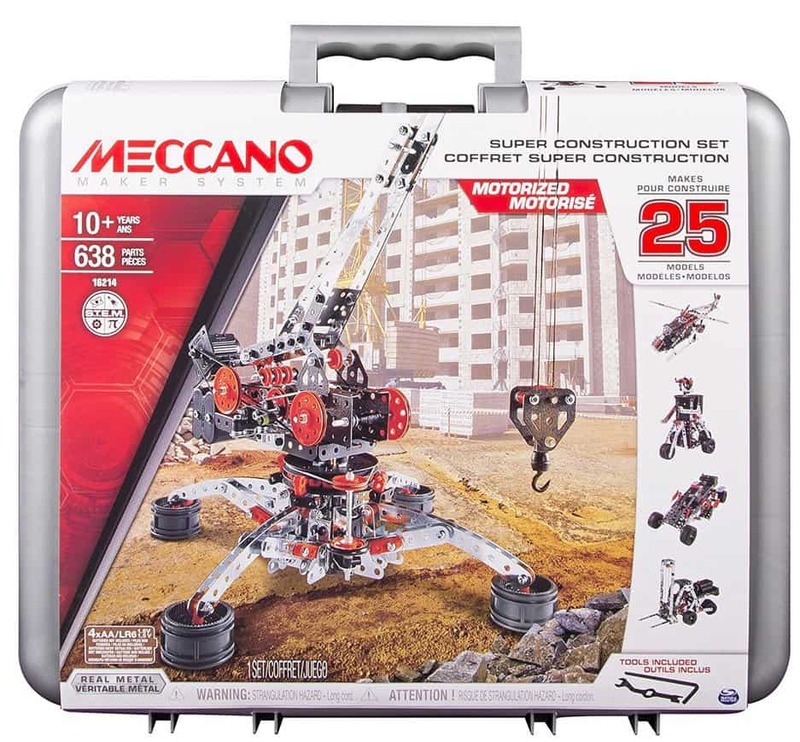 This super building-construction set comes with 25 building models. The boy can use creativity and imagination to create original and unique designs. Creating these designs encourages your kid to be creative, build his motor skills, and improve his cognitive abilities. 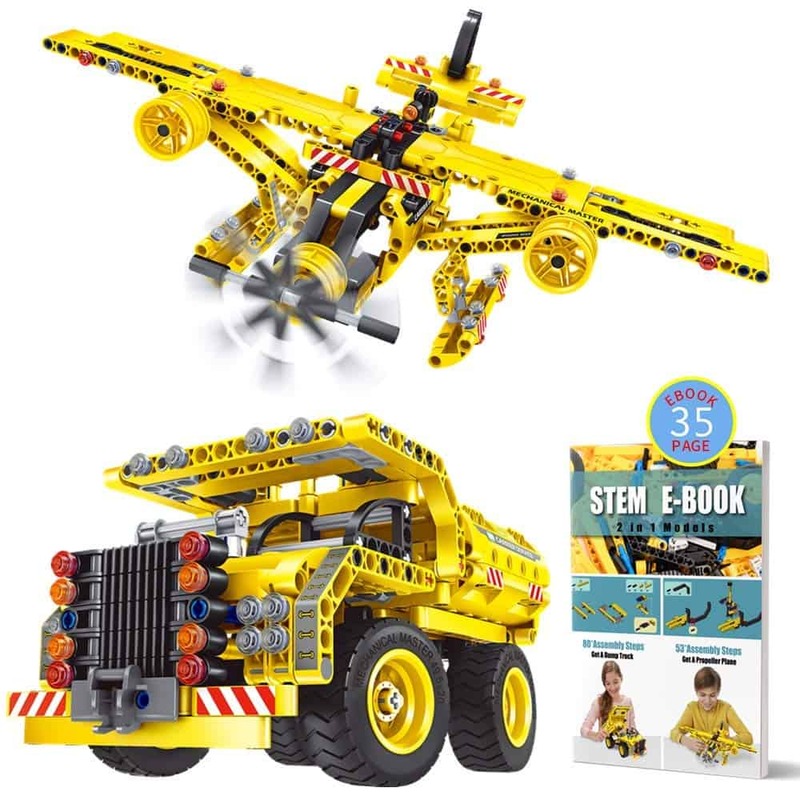 The parts are specifically designed to help the kids make a crane, helicopter, and much more. It’s fitted with a 6V electric motor to bring the creations to life with movements. More so, it encourages children to be inventive and to explore the world of science, technology, and engineering extensively. It makes a perfect gift that will help kids think outside the box. Why we like it: Getting around town has never been this easy. The scooter provides hours of fun and helps your boy in maintaining balance as he rides along. At the age of 10-years, it’s time for your boy to graduate from his little kid scooter to a much bigger scooter. At the pre-teen stage, he needs something challenging and advanced, and Razor A5 Lux Scooter is the ideal toy. Its suitable for kids 8 years and up. It has snazzy features that the younger models don’t have. The scooter has a new adonized finish fitted with a kickstand so the kids won’t have to fold it. More so, it has big wheels what are perfect for taller riders. It provides the smoothest ride among the Razor models. The scooter has a weight capacity of 220 pounds so you won’t have to worry about your kids growing too big. Why we like it: It’s everything your boy needs to rule the skies. It promotes creativity, and the super-clear instructions make it easy to learn and use. Klutz is a premium brand that design book-based activities for kids. The aim is to inspire creativity in kids. With their creation of Klutz Airplanes, the paper airplanes now look pale and unattractive. This is not a paper toy. It’s blow-the-competition-away paper machines that fly. It features a double-sided sheet of paper with 40 full-color and 20 different designs. 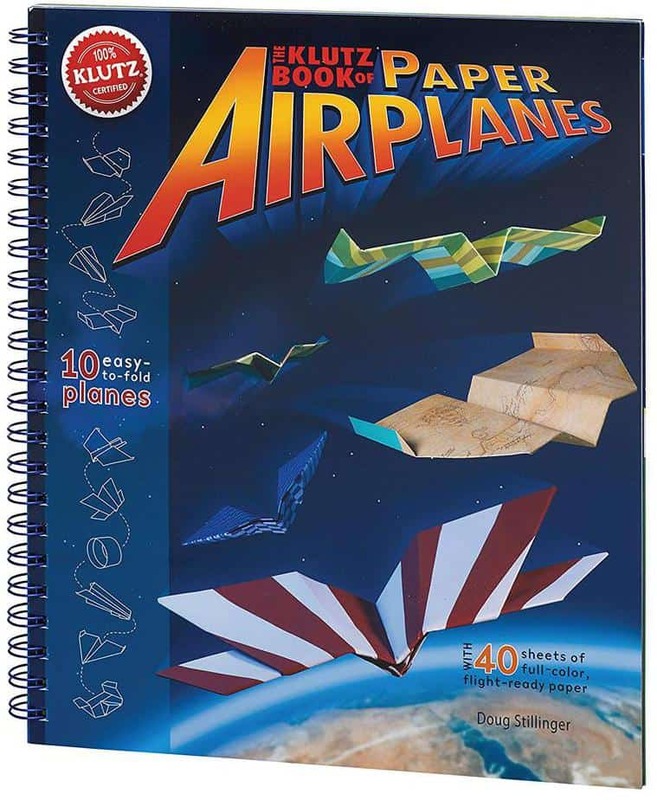 The 56 pages of clear instructions give step-by-step guidance on building your paper airplanes. The kids will have fun making great folds, creating necessary tweaks for great flying machines, and checking symmetry. The book also gives helpful suggestions on how to fix problems with useful explanations. Why we like it: The toy provides hours or creativity and fun. It reduces children’s addiction to TV and mobile gadgets. 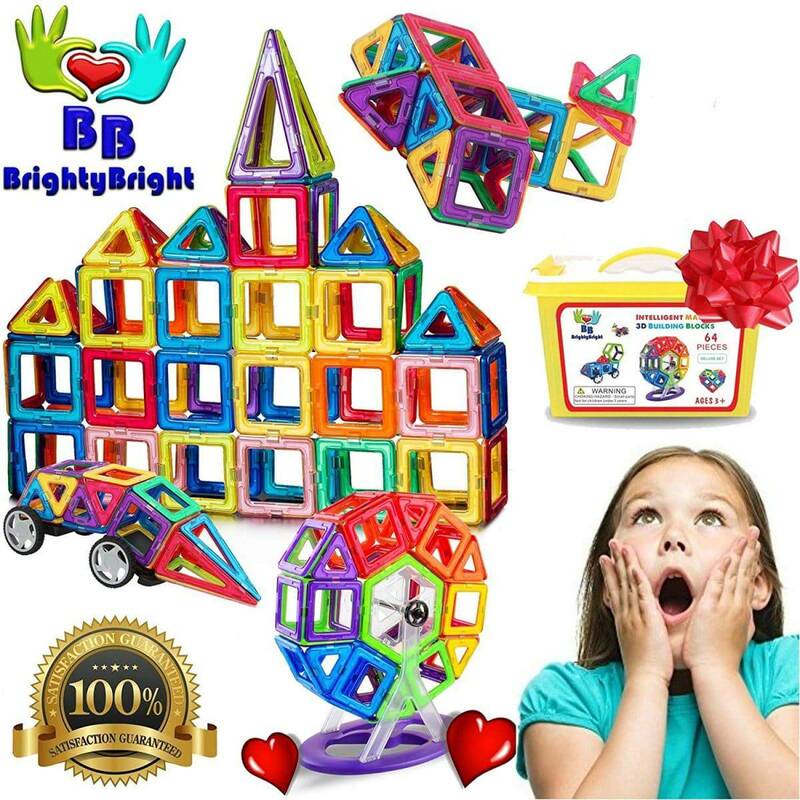 Spark the imagination of your little prince by getting him this Magnetic Building set for kids. He will have endless fun as he builds dreams with the magnetic blocks. The set includes 64 pieces to keep the kids busy and entertained. The compositions include triangles, magnet squares, various shapes in rainbow colors, ferries wheels and two cars. The magnetic blocks are made of eco-friendly, quality ABS plastic material to enhance safety and durability. The toy meets the USA Toy safety standards. The tiles have smooth round edges to ensure your kid is not hurt. Quite expensive but its performance is worth it. Why we like it: Watch your kid’s imaginations bust as he unleashes his creativity by building unique creations. This classic building set comes with 480 K’NEX parts and pieces which will keep children active the whole day. The connectors and rods are attached in unique ways which allow children to unleash their designing skills and creativity of various figures, models, and shapes. The snap-fit pieces attach securely and can be reassembled into multiple creations. This versatile toy comes with an instruction booklet that guides builders on how to design 35 magnificent models with its step-by-step procedures. It allows 10-year old boys to create anything they can imagine of. Why we like it: This detachable laundry bag makes it fun cleaning a messy room. Boys will get excited to shoot dirty socks through the hoop into the hamper. A cleaning method without much hassle! Hamper Hoops is a 2-in1 over the basketball bag by Wham-O the detachable laundry bag put an end to cluttered floors. It’s a perfect gift that will teach your son how to be neat and organized. It’s an ideal way to turn chores into a game. Kids will get excited to pick dirty laundry and the messy piles of toys, forgetting they are cleaning their room. The bag is easy to install with high-quality construction for durability. It’s a perfect choice for dorm rooms, bedrooms, and bathrooms. 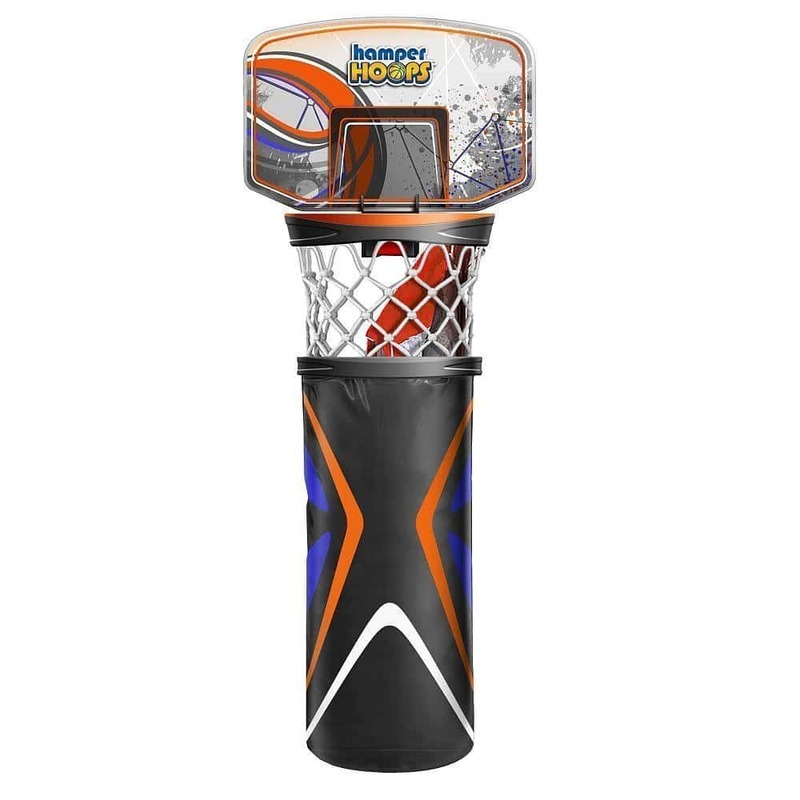 It suits girls, boys, sports fans, and college students of all ages who look shooting dirty laundry through the hoop, into the hamper. Why we like it: The binoculars can be adjusted to match the eye distance gap for the child. It is great for boat rides, bird watching, hunting, travelling, and hunting. This classic Binoculars for kids have soft rubber that surrounds the eyepieces to protect kids’ eyes. There is also an extra coating to provide superior protection of the lens during falls. The toy is ergonomically designed to fit into tiny hands of children. They can adjust to both adults and kid eyes. Easy to focus and can capture images 100 yards away. 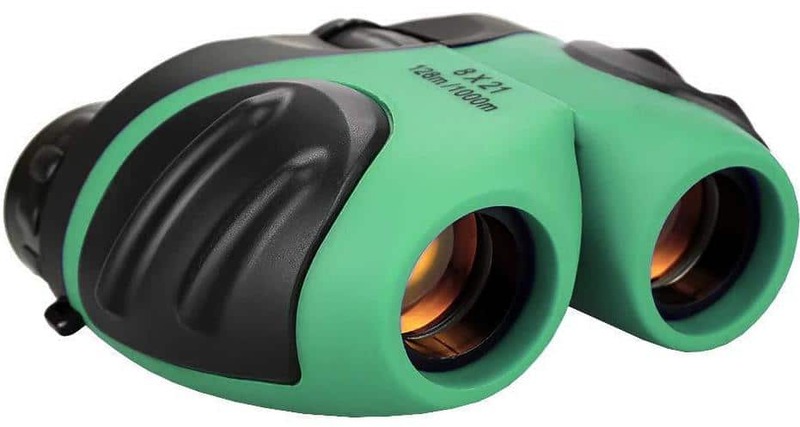 These binoculars are sturdy and durable to withstand falls and drops on hard surfaces. The non-slip scratch grip and the rubber coating helps in absorbing shock. They are fitted with FMC prism coated optics system to control optical reflection. As a result, it creates crisp and colorful images. Why we like it: Exploding Kittens features as the most-funded game in the vast history of Kickstarter. It has paved the way for tranquility and peace in the modern world. It’s entertaining and brings the family together in a humorous way. 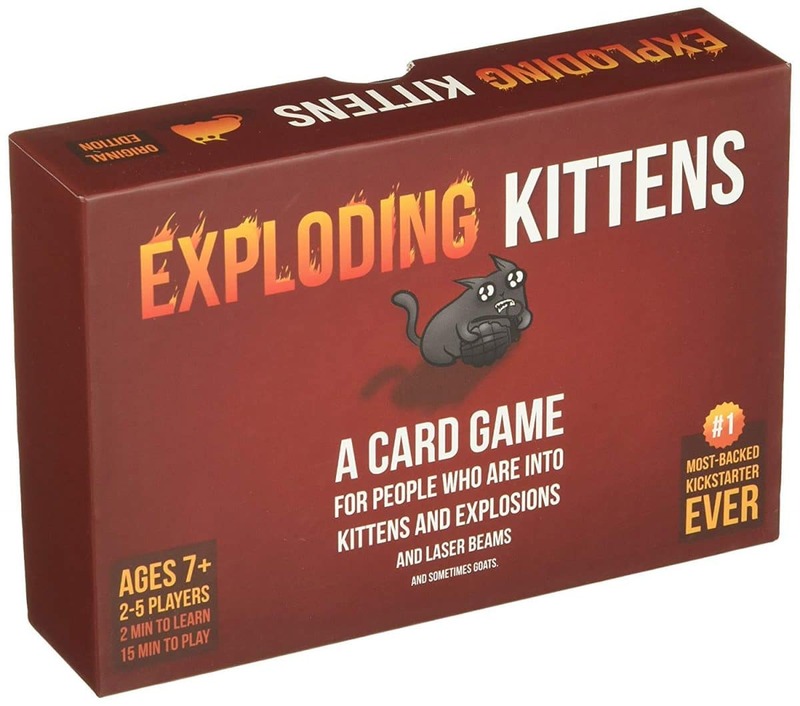 Exploding Kittens is packaged to suitable for a 10-years-old boy and the entire family. This entertaining kit is for 2 to 5 players which is the ideal way to promote collaborative play. The deck of cards is entertaining and well-illustrated for kids and adults alike. The rules are a bit complicated which can improve spatial thinking in children. But it will be ideal if parents can assist children in understanding them. Although the game can be repetitive, it will keep kids glued and entertained. It’s never boring. Why we like it: The set is fitted with five educational toys. It teaches kids about nature. This is a fantastic 6-in-1 compact kit for kids. 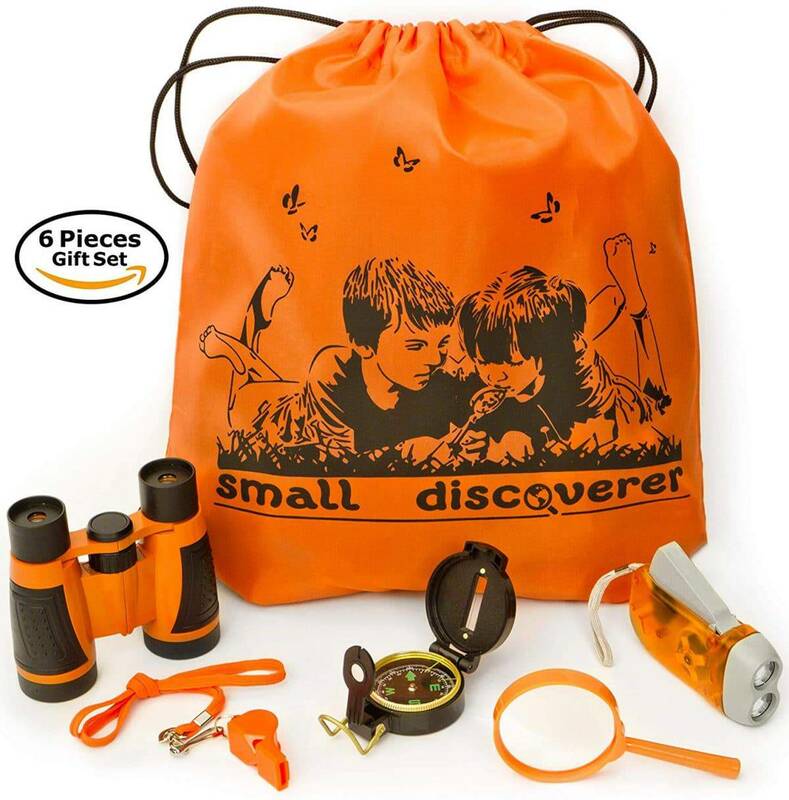 Outdoor exploration set includes 3x60mm magnifying glass, whistle compass, 4x30mm binoculars, and a backpack which is convenient both for active playing outdoor and at-home storage. Your boy will forget about computer and mobile phone as he will be busy learning basic directions with the compass. This will guide him to explore the surrounding world as well as studying plants or insects. Allow him to acquire the skills of an archaeologist or a biologist buy ensuring he has this toy. The exploration set is the perfect birthday gift for boys aged ten years and above. Why we like it: The toy challenges the imagination of children and covers a wide range of educational focusses. In the near future, robots might replace human beings in various sectors such as banking, programming, and even in movies. 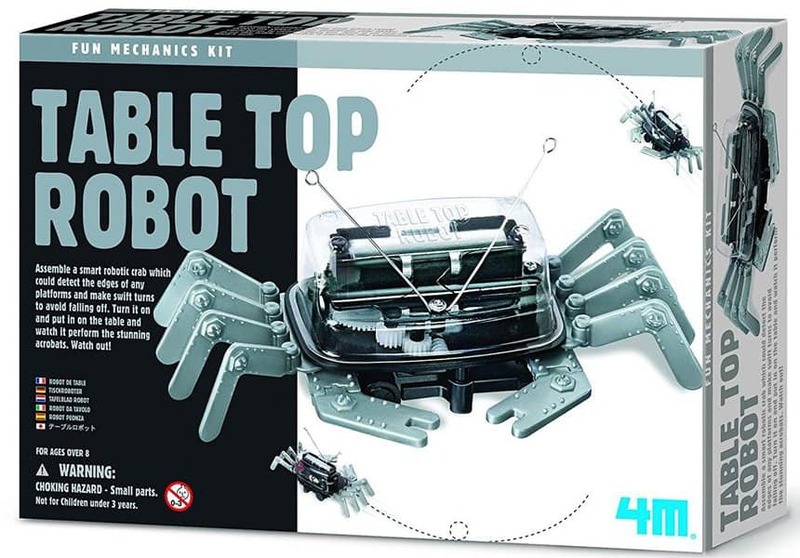 If your boy loves robot, then Table Top Robot is the best choice. This is a classical hands-on science kit that teaches kids the basics of robotics. This is done by constructing a function robot crab. 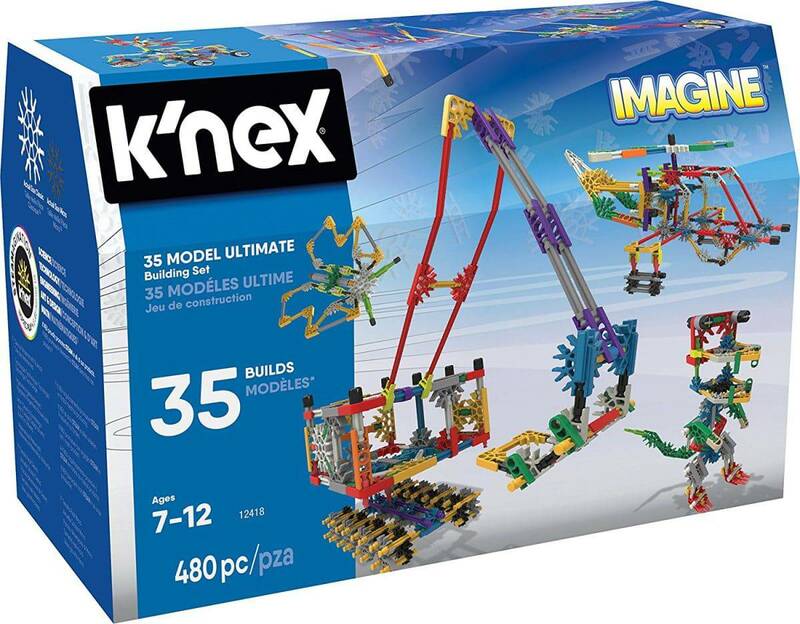 The affordable and easy-to-assemble kit introduces mechanical and scientific principles in a way that children will get excited and enjoy. It comes with detailed instructions with a step-by-step guide that makes its hassle-free to teach and to learn about robotics. The set is ideal for robot enthusiast. Upon activation, the crab scuttles and changes direction when it encounters a hurdle. Why we like it: It sparks the dream of racers and car lovers. Various car models excite young lads and provide hours of fun. We cannot wind the list without mentioning this ergonomic toy. The 9-Car Gift Pack is an inexpensive and ideal toy by the Hot wheel, that will thrill car lovers. It features nine vastly detailed vehicles. With eye-catching decor, cool unifying theme, and authentic details, this pack makes a great toy for collectors and kids alike. Shapes, colors, and decorations may vary, but its performance remains uncompromised. The plastic wheels might not withstand rough boys at the age of 10 years. Boys at pre-teen age are a fun crew. At the age of 10 years, they are still in a sweet spot that’s a mix of innocence and wonder. However, they are sophisticated and enjoy digging and exploring into new areas. No matter their interests, the above toys, and gift ideas will enthrall them and spark their imagination and creativity.